Janitorial duties can be outsourced by most small to medium-sized organizations. Therefore, these small and medium-sized companies present excellent opportunities for a small janitorial company. One of the reasons to pursue cleaning for the smaller organizations is because it works well for start-up janitorial companies too. It is best to start out simple, and clean small business offices. Scale-up to better-paying contracts as your service gets busier and you gain experience. Trying to launch a large-scale commercial cleaning operation from the start requires a large chunk of investment money. Having a broad network of professional connections is also recommended. As one cleaning-business owner put it, "it's the chicken and the egg scenario." Which should come first? The first jobs to help you gain experience, or the experience to help you get the first jobs? The hardest part may be actually getting sufficient experience to be taken seriously by any large-scale business. There is no substitute for hard-won experience. One way to get it is to start out small (at businesses where it is easier to get the jobs), and spend a couple of years building up your experience and client-references, while simultaneously scaling up the business in its scope. Once you have invested two years in the business, it is more feasible to start scaling up, and you will be able to do so at a much faster rate. Once you embark on the long process of scaling up your business, be sure to put into place a system or method that will allow you to expand and grow, while diminishing the risks. Believe it or not, a business can grow too quickly for its own good, and become unstable. How to add employees and crews. How to procure more equipment. How to work simultaneous jobs. Establish lines of business credit as your service grows, to finance additional equipment, upgrades, and marketing campaigns. Actively grow the amount of business credit you can get. Work with your preferred or local bank, or consider online financial institutions. Lending Club and Prosper are two such institutions that are completely online, and based in the US. In the UK there is Zopa. When starting your janitorial company, do not forget about social media and online promotions. But keep this branch of your marketing plan in perspective. In spite of rumors to the contrary, social media networking is not a panacea of easy marketing. It often does not even translate into money directly. However, it can help to evolve your message and establish your reputation over time. Clients will scan your social media history to vet your professional behavior and reputation. It is important to have an online presence, but be discriminatory and do not let it bog you down. There is an ocean of social media sites you could get swamped by online. Big time-wasters, for the most part. You only need to create accounts on these three: Facebook, Twitter, and Linkedin. Starting a janitorial company is a great first time start-up business because it can be started simply, with a modest amount of cash, and then scaled up over time as it stabilizes. 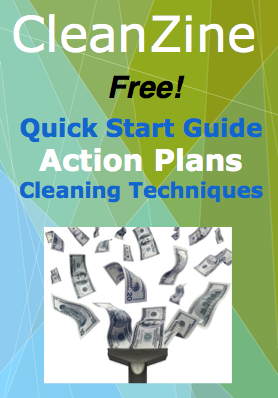 Your janitorial service can become a million-dollar-per-year business!